ITMENT: It is up to the consumer to verify both vehicle and wheel fit. Application data is available by clicking the HELP ME INSTALL IT link for both front and rear kits. Wheel fit data can be viewed on page 3 of that pdf. It is up to the consumer to determine the suitablity of use for any and all products upon their vehicle. TCE makes no claim to fit beyond the data referenced above. 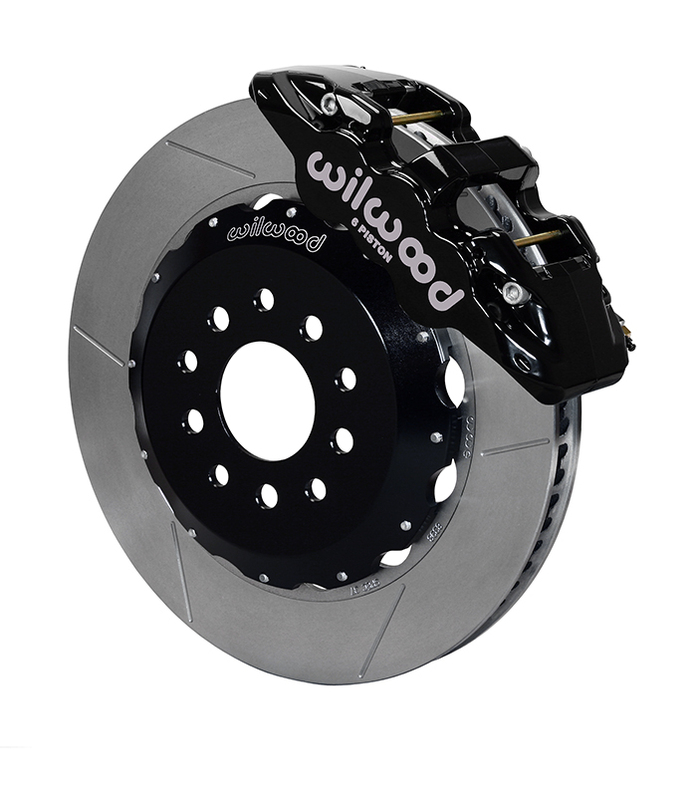 Application: The answer the IRS rear big brake kit! 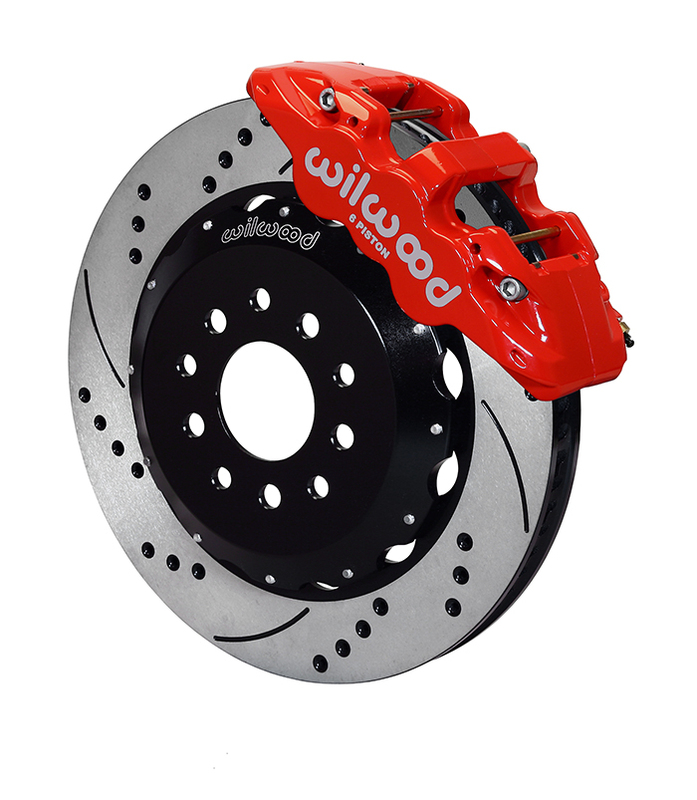 This TCE/Wilwood kit combines the necessary parts to boost rear brake performance as well as keep the oftern required parking brake for street use. Our exclusive double mount bracket secures both the four pot caliper and the MC4 mechanical spot caliper to the 12.88" diameter disc. Like nearly all TCE kits this one comes with 2pc hats and rotors with the option for a cross drilled and slotted finish. A clean and simple solution. *A price adjustment will be made for non p-brake 14" rears. Fit: 13" kit requires 17" or larger wheels. Optional 14" size will require 18" or larger wheels. Notes: Parking brake cables NOT included. The TCE Cobra Rear is the only dual caliper set up on the market to allow the fit of both the classic four piston rear caliper and a mechanical spot caliper for your parking brake needs. These kits will be offered on a "build to order" basis only. Please allow for about 3wks lead time on these. Rear kits sold above include ss flex hose kits but not parking brake cable kits. Please see the rear kit pdf for your cable kit requirement and cable kit number.